Are you thinking about remodeling your home? I don’t blame you; sometimes we get tired of the same boring old look we have in our house for years. I like to switch it up, I actually really love change. I’m never afraid of change. Sometimes a little construction is all you need. Nothing major, nothing too expensive but something simple you can even do on your own with a little help of course. 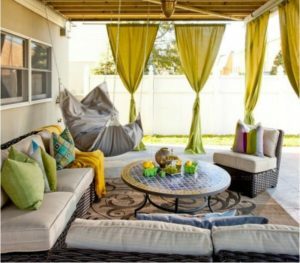 I have put together some home remodeling ideas that you would love for your home. 1. That corner of your house is perfect to put a nice bed which your kids or yourself can relax, read or play. 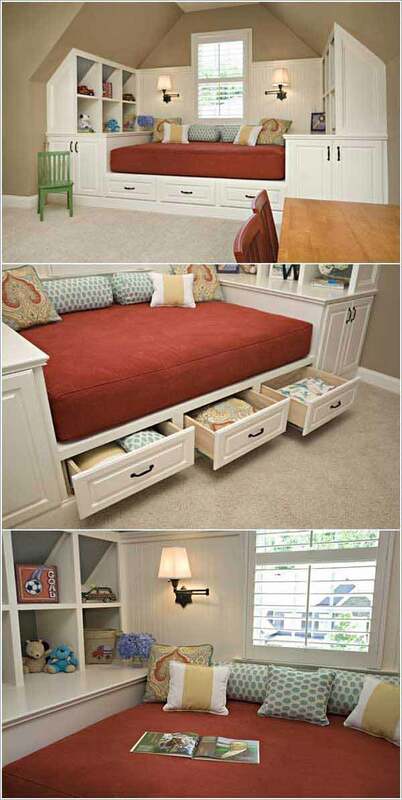 This idea is perfect because it also can be transformed into a storage area to storage toys, books, etc. 2. 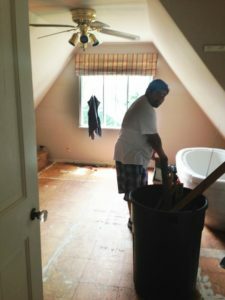 Are you thinking about doing something with that old attic of yours? Well, it’s time to clean out the junk and make space for an additional room. 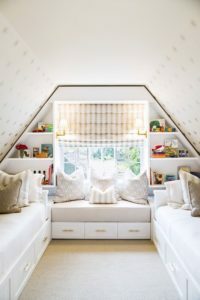 The is ideal because usually most attics are vertical and this design fits great in a vertical space, but either vertical or horizontal some exceptions can still be made. 3. Oh lord! I was too tempted; I had to add another attic remodeling idea because this is so cute for the kids. Just look at the before and tell me how spectacular this renovation is. This goes to show that your ideas are not as complicated as it seems. 4. Living is the tropics allows me to appreciate outdoors. We rarely stay cooped up inside unless it’s raining. But having a getaway right in your backyard is magical. This is such a simple idea that can be done easily without a contractor. Unless of course, you don’t have a backyard, to begin with. But don’t worry that can be taken care of with a little alternative. 5. Laundry rooms are usually small. It is not necessary to have a huge laundry room. 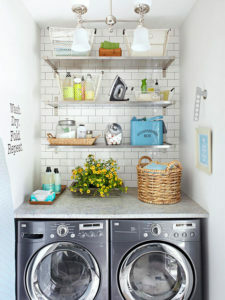 Unless of course your running a business (joke), but your laundry room doesn’t have to look dull and unappealing. You can easily spice up this tiny room by adding a beautiful paint, shelf and little laundry organisation ideas to suit your needs. 6. This built in breakfast bar dining table by Kammy’s Korner is beautiful and non-traditional just the way I like it. 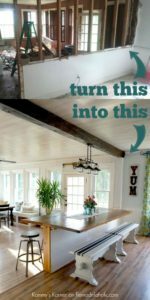 This is a clever idea for your dining room. It as if you’re at a restaurant or outside eating on a patio. Kammy’s Korner shares exactly how to do it. Check out the tutorial. 7. 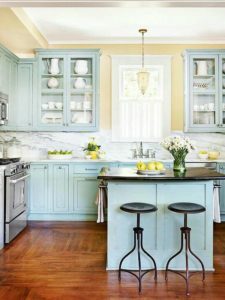 If you have a timeworn kitchen, there is 99% chance you will have to do a destruction of your kitchen to get a beautiful, subtle and modern look like this. To spice up your kitchen, you can paint the cupboard and the walls with beautiful colour/s. What also brings off the kitchen is the island. This island is small and simple but does a great job in bringing off the kitchen; it can be bought if you rather not make one from scratch. I absolutely love this! 8. What to do with that space in your staircase, well an office is one idea, but you can also turn it into a bookshelf, a mudroom or even a storage area. 9. I can’t stress how paint can total transform any look. 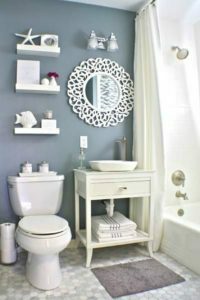 This colour with the lovely shelves and the beautiful decorative gave this bathroom life. 10. I know most people may think that the ceiling is not a part of the decor. Take a look at this ceiling; I am sure you will have second thoughts after. With a nice paint, lighting and probably a beautiful design you can transform your ceiling and give your room a facelift.